After getting back from my diving trip, this has become my favourite skincare products which I have to share with you guys. 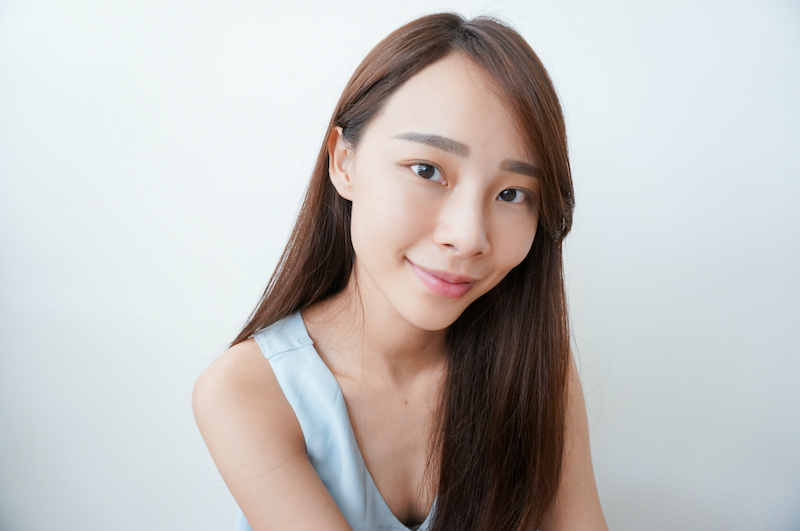 Cosini Relaxing series that helps my skin to look dewy and stay hydrated at the same time. I often worried about trying new products because of my sensitive skin, however this series doesn't have a problem on my skin. Its special ingredients of Usnea Barbara extract and Portuluca Oleracea provides soothing effect and helps our skin to restore its balance. Another thing I love about Cosini Relaxing series is their minimal steps in my skincare routine. Firstly of course is your cleansing, then you follow up with Cosini Relaxing Facial Mist that acts like a toner. Just spray evenly over your entire faee for day and night and pat it gently. You can even apply it after your foundation or sunblock to moisturise your skin. 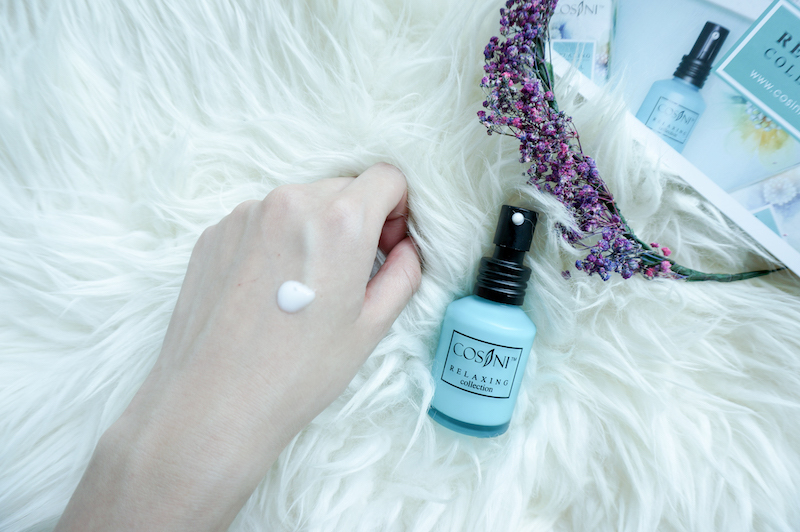 Secondly apply Cosini Relaxing Facial Serum as moisturiser during daytime. If you wish to have a better result, you may add on another step by applying their facial masque before the serum. It really hydrates my skin well as I have been using it right after my dive. It soothed my skin from the sunburnt. This is my skin a day after I came back from my diving trip. I'm glad my friend introduced me Cosini so that I can always keep my skin at its best. 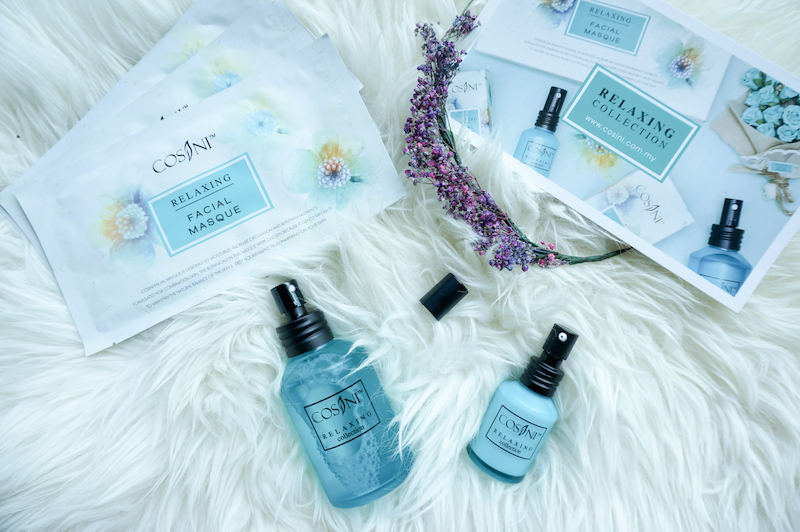 No more excuses no complete you skincare routine by using Cosini Relaxing series as there are only 2 steps.